In the Scripture readings for the Sixth Sunday in Ordinary Time, we see again passages that emphasizes the role of Jesus as healer. We saw in last Sunday’s readings, that his reputation as a healer spread so fast, that the whole town of Capernaum crowded around St. Peter’s home, many seeking a cure, others wishing to witness a miracle. Realizing that he could be trapped in Capernaum by the crowd, he leaves the town early the next morning; before anyone else is awake to stop him. He goes to a deserted place for prayer, but his disciples are still able to find him. He tells them that his purpose is to bring the Good News to all the Galilee. But even in that deserted place, Jesus encounters someone in need of healing, a leper. Now leprosy was among the most dreaded diseases of ancient times, seen as highly contagious. In the first reading, from the Book of Leviticus, we see the ritual one had to go through if he or she was suspected of leprosy. 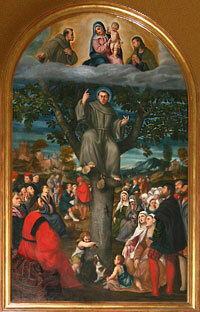 The leper was driven from the community, living in solitary suffering. That person would eventually either die alone, or in company of fellow lepers. 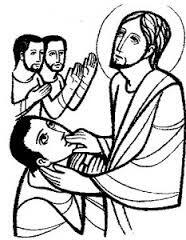 Jesus wishes to heal the leper before him, so he does what would be considered madness by his companions, he touches him. The miracle happens, the person is made clean, made whole. Jesus instructs him to just go and show himself to the temple priest and be brought back into the community. Of course, this does not happen, the cured man proclaims to all what has happened to him, and who did it, and Jesus must change his approach to the people. However, I would like to offer another interpretation of this Scripture. It has to do with the fact that because of this disfiguring disease, this person was separated from the people of Israel. He was lost, destined to be alone in deserted places. Now, consider that “leprosy” can come in many forms; like poverty, like addiction, homelessness, mental disabilities. One can be considered a societal “leper;” if one is an immigrant or refugee, with different languages, different customs, different beliefs. They feel separated from the wider community, ostracized, discriminated against. And here is Jesus Christ, who is telling us, by his example, to reach out and touch them; reach out and embrace them; reach out and bring them back into the wider community of our cities and towns, our states and nation. This is the mission, the calling of the Christian community. This is the work of our Church, to heal and bring back those who are wounded, lost and alone. Mark 7: 33b-34 – “He put his finger into the man’s ears, and spitting, touched his tongue; then he looked up to heaven and groaned, and said to him, ‘Ephphatha! (that is, ‘Be opened!’)” We need Jesus to help open our mind and heart to the power of his Spirit. We need to be open to the experience of God’s love for each one of us. But more than that, we need to open ourselves to others, to the Good News we have heard, and to share our experiences of God’s love at work in our lives.